Nichole Clarke '18, a former SuperUROP scholar, is now an EECS graduate student and Siebel Scholar. Ava Soleimany '16, a former SuperUROP scholar, co-authored a paper published in Science. She is now a graduate student and co-director of a popular Independent Activities Period class on deep learning. 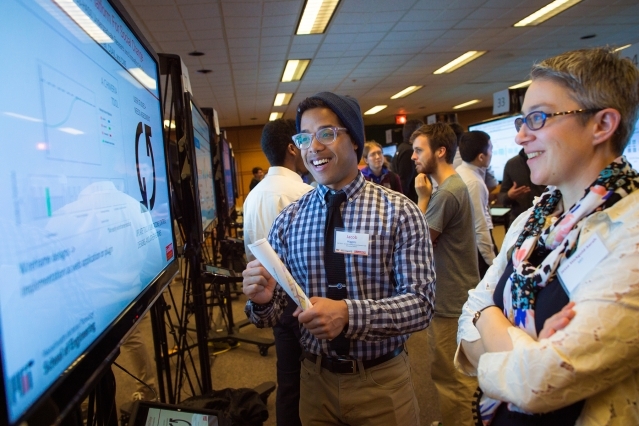 SuperUROP gives students the research toolkits they need to tackle real-world problems. Scholars participate in a yearlong research experience and enroll in 6.UAR (Preparation for Undergraduate Research). Working on supervised projects, students learn the essentials of research, from designing experiments to writing technical papers to presenting at conferences. Meet the 2018-2019 SuperUROP Scholars! View or download the most recent SuperUROP Brochure. 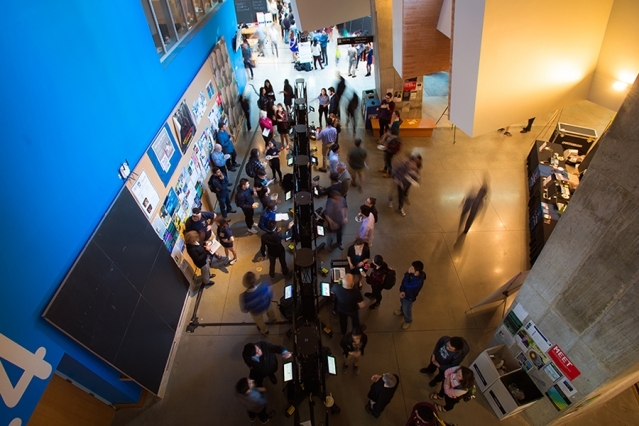 SuperUROP is a School of Engineering program administered by the MIT Department of Electrical Engineering and Computer Science (EECS). Join us as 2018-2019 SuperUROP Scholars discuss their yearlong research projects on Thursday, April 25, 2019, from 3 to 5 p.m. at the Stata Center (Building 32). View the agenda for the presentation schedule. Refreshments will be served. About 135 students discussed their ongoing research projects at the December 2018 SuperUROP Showcase poster session. Read an article and view a slideshow here. Did you miss the March 2019 information sessions for SuperUROP 2019-2020? No problem! Find out what you need to know in this video of the March 6 info session. To see a SuperUROP project in action, view this video of 2018-2019 SuperUROP scholar Garrett Souza, who is analyzing the effect of visual media on implicit biases.